Hello Everyone! Thank you so much for listening and sharing our show in social media. We've grown from our initial show of 600 listeners to millions and have now broadcast over 300 shows. The Best Ever You Show on Blogtalkradio is always free to listen and download. We're also located on iTunes and Stitcher. I thought we'd have some fun and put together a collection of our Top 10 Shows of All-Time. These are the shows that have the highest downloads, live listens and shares in social media. Again -- Thank you all so much for your support!! 7-Time Emmy Award winning actor, and Political Activist, Ed Asner just completed starring in the short filmGood Men opposite Mark Rydell (On Golden Pond) directed by Brian Connors. . Ed also just completed narrating the documentary Shattered Hopes, the true story on The Amittyville Horror murders. He also most recently portrayed Henry Winkler's father, Ted Roth in multiple episodes of the USA Network primetime series Royal Pains. Ed is also currently touring the country in the one man show FDR which he has been starring in over a year and half. Ed just completed the Indie feature Should've Been Romeo with Paul Ben Victor and Carol Kane. Perhaps best known for his comedic and dramatic crossover as the gruff but soft-hearted journalist Lou Grant, the role he originated on the landmark TV news room comedy The Mary Tyler Moore Show and continued in the newspaper-set drama Lou Grant, which earned him five Emmys and three Golden Globe Awards. 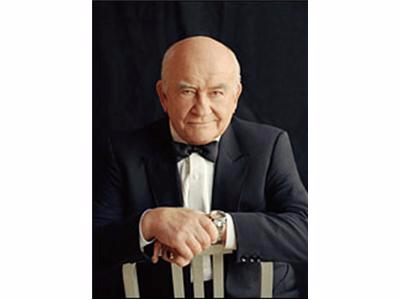 One of the most honored actors in the history of television; Edward Asner has been the recipient of seven Emmy Awards and 16 nominations, as well as five Golden Globe Awards and served as National President of the Screen Actors Guild for two terms. He was inducted into the TV Academy Hall of Fame in 1996. Asner received the Ralph Morgan Award from the Screen Actors Guild in 2000, presented periodically for distinguished service to the Guild's Hollywood membership. 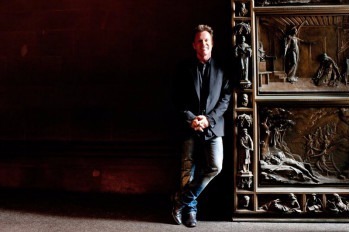 In March 2002, he was again honored by The Guild as the 38th recipient of the prestigious Life Achievement Award for career achievement and humanitarian accomplishment, presented annually to an actor who fosters the highest ideals of the profession. ​Join Elizabeth Hamilton-Guarino and Gary Kobat, your co-hosts of the What's Percolating? Teleconference for a chat about Peace, Passion and Prosperity! ​Elizabeth Hamilton-Guarino, CEO and Founder of The Best Ever You Network and Hay House author of Percolate- Let Your Best Self Filter Through shares 5 steps you can take to improve your health. ​Fred Cuellar, the founder and president of Diamond Cutters International, is one of the world’s top diamond experts, as well as a three-time Guinness Book record holder in jewelry design. He is an importer, diamond cutter, and creative designer of jewelry. 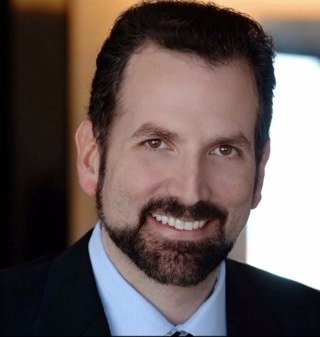 With over 25 years of experience in the diamond and jewelry business, Fred’s clients include the First Lady and President George W. Bush, Oprah, the Dallas Cowboys, the Detroit Red Wings, Anschutz Corporation, Saudi Royal Family and hundreds of professional athletes and celebrities. Fred is a consultant, best-selling author, writer and columnist to the national media, and founder of DCI’s National Diamond Helpline, Fred has designed Super Bowl Championship rings for the Dallas Cowboys and Denver Broncos, Stanley Cup Championship rings for the New Jersey Devils, Colorado Avalanche, Detroit Redwings, and Dallas Stars, Major League Soccer Championship rings for Houston Dynamo and Los Angeles Galaxy, as well as World Series Championship rings for the New York Yankees. Fred had the honor of designing commemorative rings for Olympic Gold Medalist Dan O’Brien and baseball legend Cal Ripkin. Please welcome father and son, don Miguel Ruiz, MD. and don Miguel Ruiz, Jr. to The Best Ever You Show. For more than three decades, don Miguel Ruiz, MD has worked to impart this wisdom to his students through lectures, workshops, and journeys to sacred sites around the world. The Four Agreements®, published in 1997; was a New York Times bestseller for more than 7 years and the 36th bestselling book of the decade. Other books have followed; The Mastery of Love, The Voice of Knowledge, Prayers, Beyond Fear and The Fifth Agreement, a collaboration with his son Don Jose. 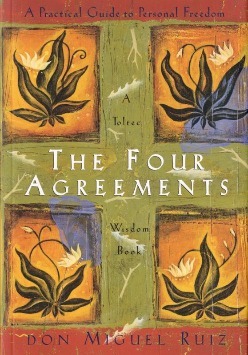 don Miguel Ruiz, Jr., is a Toltec Master of Transformation. He is a direct descendant of the Toltecs of the Eagle Night lineage, and is the son of don Miguel Ruiz He is the author of the newly released book The Five Levels of Attachment: Toltec Wisdom for a Modern World. Please visit www.miguelruiz.com and www.miguelruizjr.com. Serving as the heartbeat of The V Foundation for Cancer Research, formed by ESPN and Jim in 1993, his words throughout the ESPY speech have never been more meaningful. After being diagnosed with cancer at the young age of 46, Jim dreamed of finding cures for cancer. Passionate and committed, he wanted to see his fight through to victory. As a former coach, he began to recruit his team of family and friends to lead the Foundation in his quest to eradicate the disease. 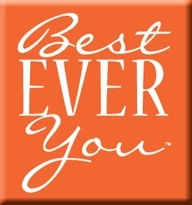 The Best Ever You is proud to welcome the Founder of Girls Above Society - Lauren Marie Galley. Lauren’s latest film opportunities include a co-star role as Sparx McCoy along with Matt Lavine as Matt Mercury in “Matt Mercury - Plot of the Galactic Mastermind” directed by Bill Hughes of Big Tex Movin Picture Company, and “Making of a Serial Killer” directed by Russ Miller of Cynsings Studios, both to be released 2013. Lauren has been featured on ABC Family’s “The Lying Game” as well as National Commercials such as Fox Sports and Jarritos. Please join us for a very special hour with guest Frank Stallone. 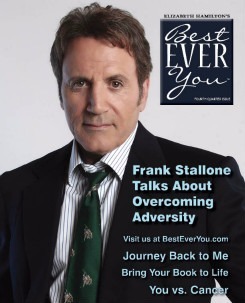 Grammy and Golden Globe nominated artist Frank Stallone is one of the most versatile actors, singers and musicians in the business. Frank has garnered three Platinum Albums, ten Gold Albums and five Gold Singles and has acted in over 60 films and TV shows.He has written and published over 200 songs and has written and recorded compositions for eight films, including Rocky I, II and III, Rambo II, Paradise Alley and Over the Top. But, it was Frank’s eleven songs that he wrote and recorded for the Saturday Night Fever Sequel Staying Alive that earned him a Golden Globe nomination for Best Sound Track and a Grammy nomination for Best Original Song with his single, Far From Over. Frank is a guitar, boxing, music, mafia and art aficionado and is an avid collector of guitars, guns and boxing memorabilia. When he’s not writing songs or filming a project, he can be found on a shooting range or at the gym. Too many athletes miss the chance to play in college because they didn't know what to do. 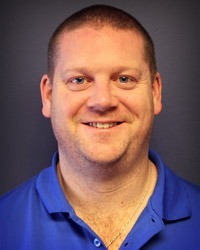 Brendan Kennedy of National Scouting Report ("NSR") is here for a one hour chat about the college recruiting process for high school players. "I wish I had met you earlier in the recruiting process," is a phrase I hear far too often, says Brendan Kennedy, " Don't miss out on an opportunity to be recruited." NSR is the most revered high school scouting and college recruiting organization in the world. Since 1980, college coaches have depended on NSR to present quality prospects for recognition, evaluation and recruitment.